Story so far: Will Turner escaped with the key to Davy Jones’ locker. 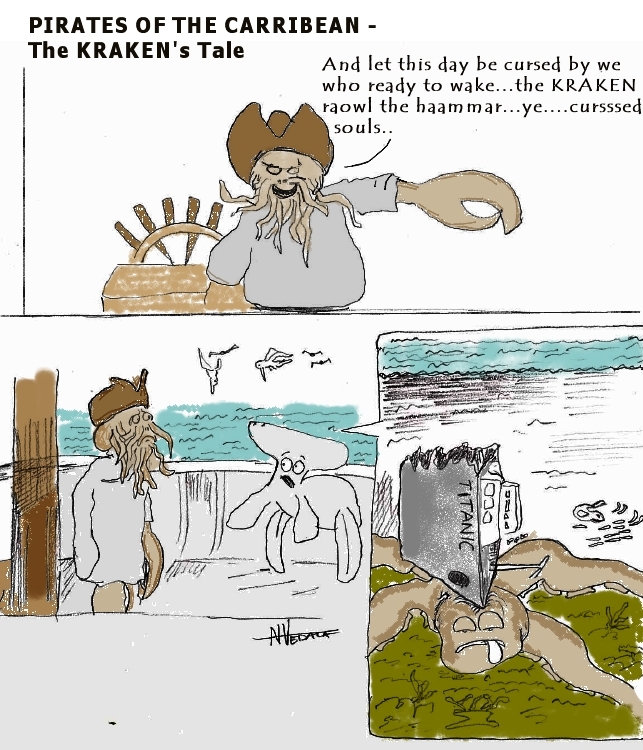 Greatly angered Davy Jones invokes the gargantuan monster… the KRAKEN…and then… click on the image to see it enlarged. Davy Jones unleases the fury... the Kraken.